Massive corner pub in central South Perth. Great atmosphere and decent food. 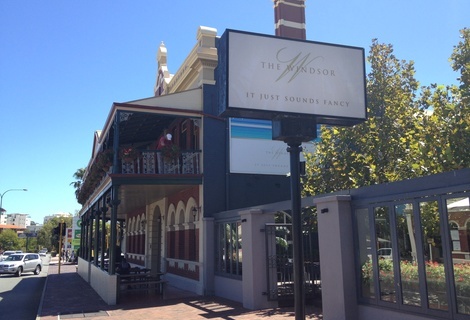 The Windsor was reviewed on Monday 5th March 2012 12:20 by Richard. What a way to spend the labour day public holiday, sinking a few pints of James Squire's finest at the Windsor hotel in South Perth. I have been to the Windsor a fair few times, mostly on Friday and Saturday nights when it's absolutely rammed, but this was one of the few times I've stayed for a meal and I'm pretty glad we did. 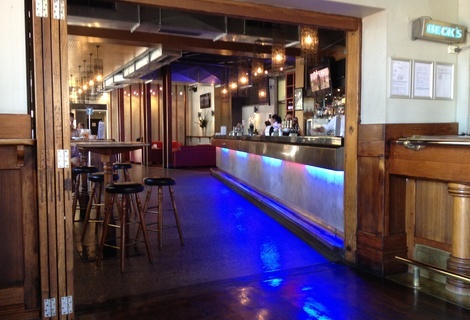 The place is as big as most pubs get in Perth with a massive outdoor area, indoor cafe (restaurant) seating, the front bar, a lounge type set up and outdoor tables & chairs surrounding the perimeter of the pub. 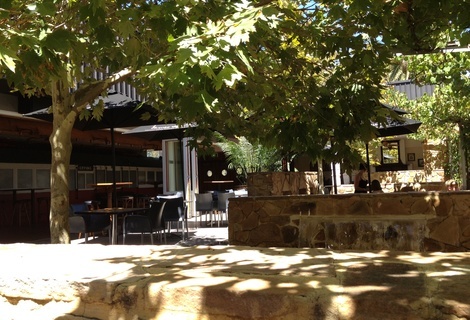 It took us a while to decide on where to sit but we finally settled on the outdoor area seeing as it was a beautiful 38 degree Perth Autumn day. The service was great, staff were friendly and really fast. There were a few minor mishaps, but all were acknowledged and none were deal-breakers. A nice change from some of the wait staff around at Perth pubs these days, where you get a "deathstare" if they've stuffed something up, like somehow it was your fault. There seemed to be more bars than you could throw a stick at, but unfortunately the one we were sitting next to wasn't open yet. The waitress came over to our table and informed us of this, gave us a couple of menus and took our drinks and food orders. The drink rage is quite good, a range of wines, cocktails and beers, however, on a 38 degree day it's hard to justify ordering any other drink than an ice cold pint of beer so we started off with a couple of Weihenstephans (a great German beer hailing from the oldest existing brewery in the world). 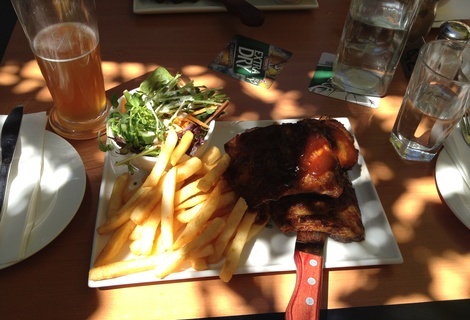 This was the first time we both ordered the same thing, the half kilo pork ribs. They just sounded so good we had to. Both the drinks and food came out incredibly fast, possibly due to us being there quite early. The only negative point about the food/drink is that the pint glasses were a bit dirty, there was even a bit of fruit pulp (I'm assuming from a lemon or orange) on the lip of my pint glass. I didn't bother sending it back though. Our food came out shortly after and looked amazing. The ribs tasted just as good as they looked. The meat (which there was plenty of) was cooked well and there was an adequate amount of smoky barbecue sauce. There was also a small salad on the side, which was nice. It wasn't one of those salads purely for looks, it actually had some ingredients (tomatoes, cucumber and carrot) with a great zesty dressing. They even went to the trouble of bringing a small bowl of water to wash your fingers in after devouring the ribs. Overall the value was above average but not amazing, steaks were getting close to the $40 mark and steak sangas just over $25 but the quality was there so most wouldn't mind forking over the money. Drinks were reasonably priced too, with most very similar to Perth's average, and 'large' beers were actually pints and not just a schooner sold at a disproportionately lower price. The crowd was mostly an older bunch, but probably because most of Perth's youths were attending the end of summer music festivals, taking place on the long weekend. I know that on Friday and Saturday nights the crowd is a lot younger. The Windsor is really a good place for a decent pub lunch and a good spot to have a beer or two, we'll definitely be coming back and next time we might be a bit more adventurous with our meal choices.